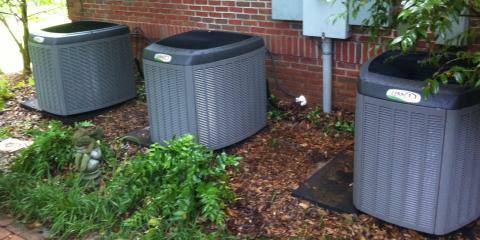 Need a new heating or cooling system for your home or building? Serving the Wiregrass area for over 30 years, Woodall Heating & Cooling, Inc. promises high-quality work every time. This local, family-owned business does everything from central air-conditioning to garage door repair to gutter installation! These professionals are trained to install and service major heating and cooling brands, including Trane, Lennox and Water Furnace. They have their own fully equipped sheet metal fabrication shop and a warehouse stocked with a large supply of replacement parts and new equipment. With a strong, friendly support staff at their Enterprise, AL, office and a large service department, you can be sure that there’s no job too big for Woodall Heating & Cooling, Inc. Worried that a project might be just outside of your budget? As a one-stop shop for a variety of home installations, including heating and cooling systems, fireplaces and duct cleaning, this company considers their customers a top priority. The professionals at Woodall Heating & Cooling, Inc. will work with their clients to offer 100% financing, preventative maintenance agreements and lengthy warranties for each project. If you need more proof of their dependability and exceptional customer service, Woodall Heating & Cooling, Inc. was voted the #1 Heating and Air Conditioning Company for the last 14 years by the readers of the Enterprise Ledger. You can call them at (334) 347-1243 or visit them online for more information on the services they have to offer. Reviews for Woodall Heating & Cooling, Inc.